Lake Abraham's unique clarity allows for a dazzling display of icy methane bubbles frozen in time below the surface. This lake in Alberta, Canada is home to a weird winter phenomenon??? ?Like others in the arctic, it produces methane gas year round??? ?But its unique clarity due to icy wind gusts and below freezing temps??? ?turns the natural process into a dazzling display??? 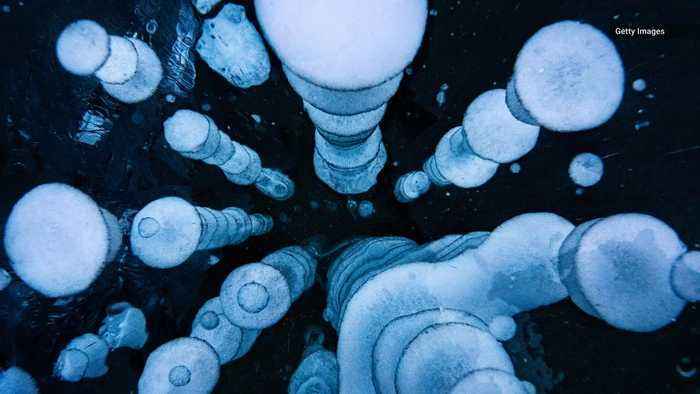 ?Icy bubbles stacked like pancakes lie trapped just below the surface??? ?Now for the gross part??? ?They’re pockets of gas passed by bacteria chowing on dead organic matter ??? ?which float up from the lake depths, freezing near the surface??? ?FYI: methane is highly flammable, so don’t light a match near one if it pops?? 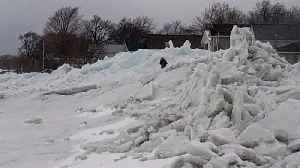 The official start of spring may just be a few weeks away, but residents along Lake Erie wouldn’t know it.